Residents select delightfully healthy, fresh, and gourmet meals from a daily menu prepared by our own Culinary Institute of America-trained chef, in consultation with our certified dietician. 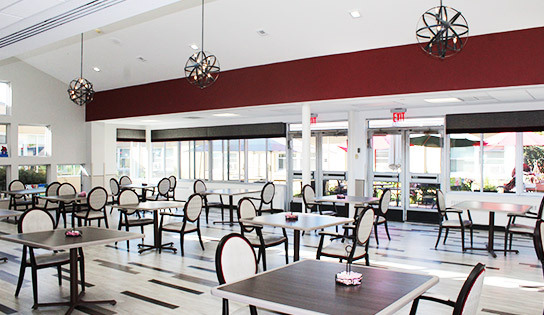 Residents are served restaurant-style in our sun-drenched atrium dining room, overlooking an outdoor patio. Enjoy relaxing live entertainment as our pianist provides soft music to accompany your meal for a truly wonderful dining experience.